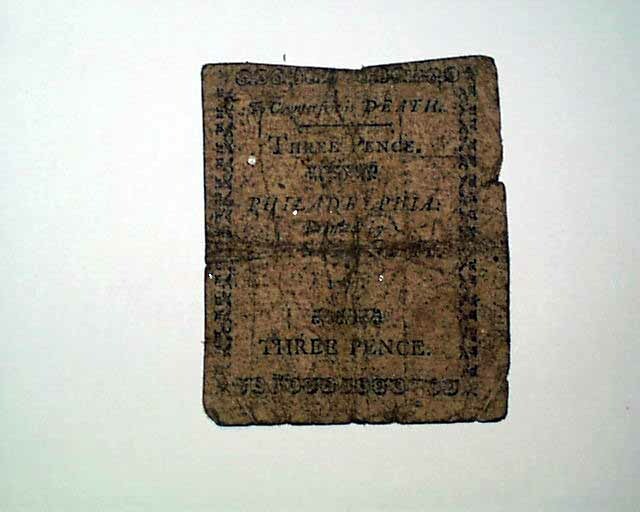 Colonial currency: Pennsylvania, three pence note dated April 10, 1777. A decorative border plus an engraving of the Penna. coat-of-arms along with the text. 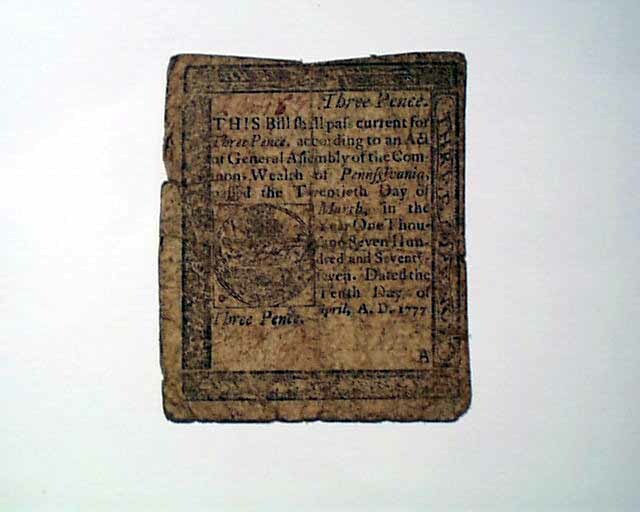 The reverse has: "To counterfeit is DEATH" along with "Three Pence, Philadelphia, printed by John Dunlap" and the year 1777. John Dunlap was also the printer of the Declaration of Independence. One signature, measures 2 1/4 by 2 3/4 inches, various rubbing more so on the reverse.